(33z) - Nice old medicine cabinet with beveled mirrors, very attractive piece. Has a small piece missing on top right hand corner, key and lock missing too. 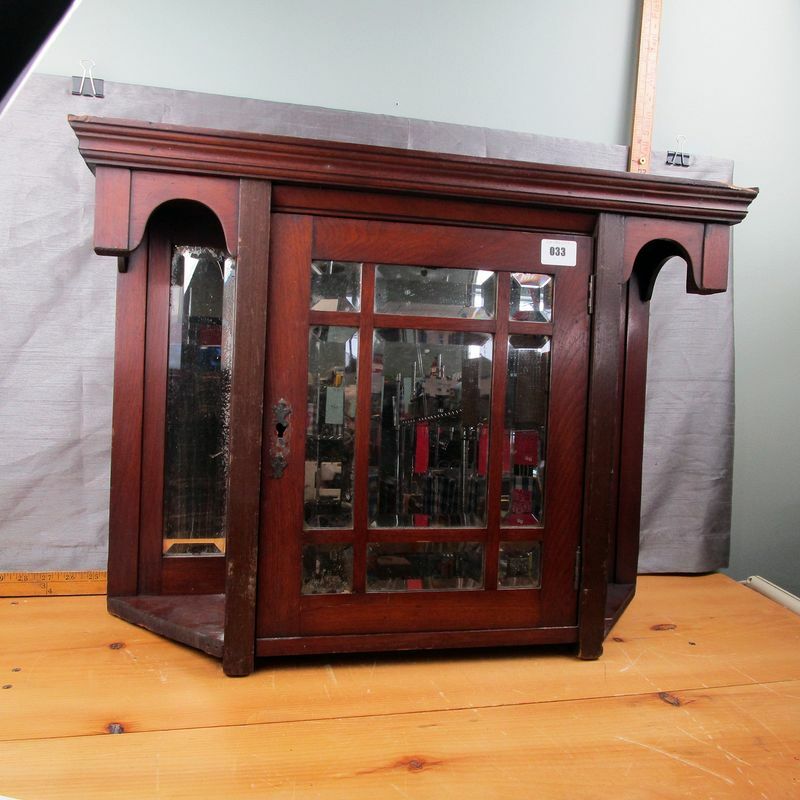 **Lot Details: (33z) - Nice old medicine cabinet with beveled mirrors, very attractive piece. Has a small piece missing on top right hand corner, key and lock missing too.